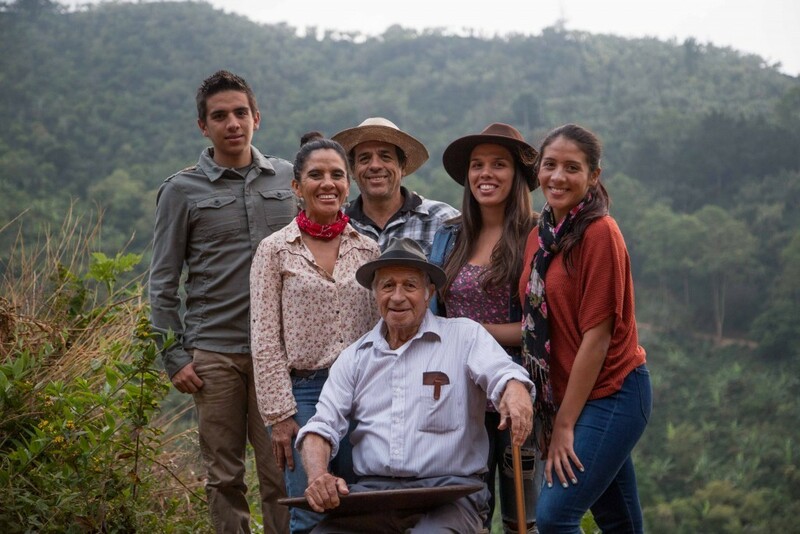 During this time, Eli’s siblings also worked for some of the largest coffee producers in the town, don Bernardo Urena and don Humberto Urena. Back then, they were poor, they were hardly making enough money to eat. A dish would be rice, beans, milk and some vegetables on the farm (ie banana), if they were lucky. However as the years progressed, this changed. Carlo’s Montero, Eli’s third son had the opportunity to attend school and won a scholarship to study abroad in San Diego California. It was during this time abroad that “doors opened” for Eli. Eli started to travel the world, and during his trips met many good friends. Before he returned to Costa Rica, he worked in the States and saved some money so he could go back home and buy land. Carlos returned and bought fields, of which today is that of Don Eli Estate. For 20 years he contributed his harvests to the Dota and Tarrazu Cooperatives. With the micro-mill revolution movement in to early 2000’s, Carlos and his brother Manuel decided to invest in the equipment and process better quality coffee. The first harvest of 2013-2014 proved most challenging. It was the first time the Montero’s took on such a risk. It went well. Carlos sold his best coffees to Japanese buyers and some of Manuel’s coffee went to the United States. Carlos continued to contribute some of his harvest to the Dota Cooperative. With the second year, coffee experimentation got better and, the learning never ends. Indeed, for specialty coffee it never does. By Karyan Ng, with Marianela Montero.